WASHINGTON, D.C. – U.S. 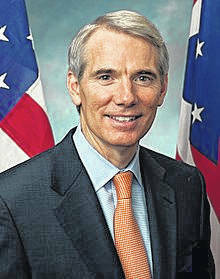 Senator Rob Portman (R-OH) is applauding the Senate Finance Committee for passing his bipartisan legislation he co-authored with Senator Sherrod Brown (D-OH) that would help newborns suffering from addiction recover in the best care setting and provide support for their families. The bill now awaits action on the Senate floor. Neonatal abstinence syndrome (NAS) is a withdrawal condition often caused by use of opioids and other addictive substances in pregnant women. Babies with NAS are usually treated in the neonatal intensive care unit (NICU), and treatment costs are more than five times the cost of treating other newborns. With the bright lights and loud noises, the NICU is not always the best place for newborns suffering from withdrawal. Residential pediatric recovery facilities, an alternative setting to a NICU, offer specialized care and an environment conducive to treating newborns with NAS, as well as counseling for mothers and families that emphasizes family bonding. The Caring Recovery for Infants and Babies (CRIB) Act would recognize residential pediatric recovery facilities as providers under Medicaid, allowing Medicaid to cover these services in residential pediatric recovery facilities in addition to hospitals. 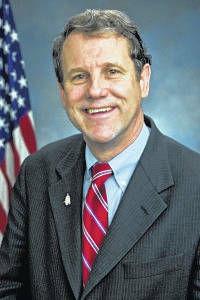 The bill does not cost tax payers any additional money, but allows babies to receive quality care in the best setting. Dayton is home to Brigid’s Path, a residential treatment facility for babies with NAS. Portman introduced this bill with Brown and Senators Shelley Moore Capito (R-WV) and Angus King (I-ME). Studies show that cases of NAS have tripled over the past decade. In Ohio, NAS increased six-fold between 2004-11, from 14 cases per 10,000 live births in 2004 to 88 cases per 10,000 live births in 2011. In 2015, the Ohio Department of Health released data that there had been 2,174 hospital admissions for NAS, and reported that an average of 84 infants were being treated for drug withdrawal by Ohio hospitals every day. Because newborns with NAS require specialized care, caring for these babies can result in longer hospital stays and increased costs. The Ohio Department of Health reported that treating newborns with NAS in 2015 alone was associated with more than $133 million in health-system costs.